This chapter is a report on using a course management system Desire2Learn® to facilitate the implementation of the quality assurance standards recommended by Quality Matters. After a brief introduction to the Quality Matters standards, the chapter describes how the Desire2Learn learning environment can be structured to build an interconnected framework to promote objective-oriented, criterion-referenced, dynamic assessment. A pilot study was conducted to explore how learning activities can be assessed in alignment with measurable learning objectives, with reference to criterion-based rubrics. 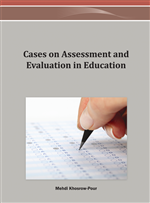 The chapter discusses issues found through the study and lessons learned in using the competency structure of Desire2Learn to enforce objective-oriented assessment. The value of learning objectives and measurable learning outcomes has long-standing support in the literature (Bloom, Engelhart, Furst, Hill, & Krathwohl, 1956; Mager, 1962, 1975). Assessment criteria and assessment constraints are usually key determinants of the teaching and learning strategies chosen (Australian Flexible Learning Framework, 2004). A considerable amount of research findings indicate that learning objectives should be clearly stated and assessment criteria clearly specified in order to help students see what to achieve and how to achieve it (Koszalke & Ganesan, 2004; Murphy, Mahoney, & Harvell, 2000; Pawan, Paulus, Yalcin, & Chang, 2003; Shea, Swan, Fredericksen, & Pickett, 2002; Stewart, Hong, & Strudler, 2004; Youngblood, Trede, & DeCorpo, 2003). Online assessment has been found most effective when learning objectives are clearly linked to assessment activities (Hyde, Booth, & Wilson, 2003). It is generally suggested that learning objectives should be aligned with learning activities (Garrison & Anderson, 2003; Garrison & Cleveland-Innes, 2005; Jensen, Self, & Rhymer, 2002; Kidney & Puckett, 2003; McLoughlin, 2001; McVay Lynch, 2002; Lewis, 2002). Assessment strategies and tasks should be tied to the learning objectives and learning process (Koszalke & Ganesan, 2004; Koszalka & Bianco, 2001). With the connection between assessment and learning process made explicit, students are expected to better see the relevance of the assessment to the learning tasks (Leask, 2001; Hyde, Booth, & Wilson, 2003). To help students relate learning objectives to specific learning activities and assignments, learning objectives should be specified at unit or module levels (Koszalke & Ganesan, 2004; Sims, Dobbs, & Hand, 2002; Stewart, Hong, & Strudler, 2004; Trigano & Pacurar-Giacomino, 2004).